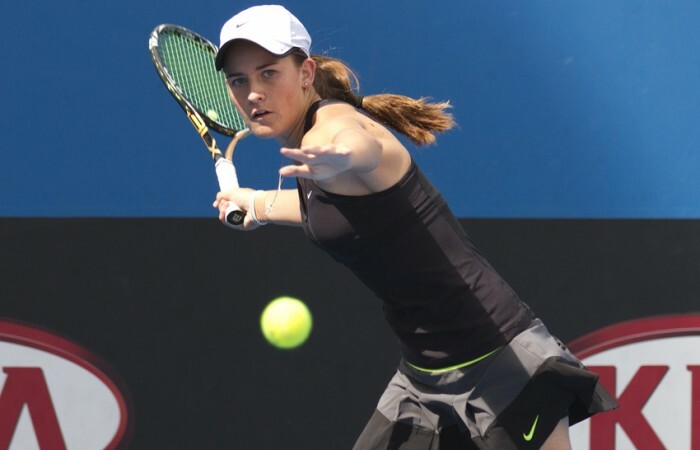 Qualifying action kicked off on Sunday for the Optus 18s Australian Championships as the December Showdown continued at Melbourne Park. 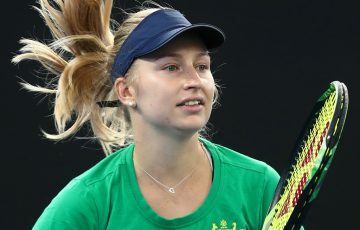 Under sunny skies at Melbourne Park on Sunday, Australia’s best 18-and-under players were out in force for the Optus 18s Australian Championships qualifying event. 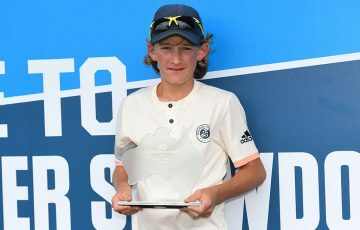 Spread over 2-3 December, the 16-strong draw boys’ and girls’ draws will be whittled down to leave just two successful qualifiers for the main draws, an event that crowns the Australian 18-and-under champion and affords the winner a wildcard into the Australian Open Playoff. Looking to make the most of their opportunities were Ebony Panoho and Olivia Tjandramulia, who wasted no time in progressing to the second round of qualifying. 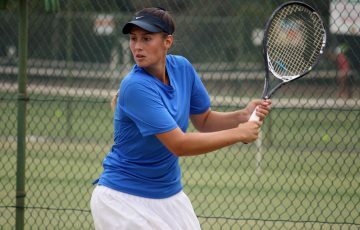 Tjandramulia, whose excellent 2012 season has reaped titles at the Optus 12s and 14s National Grasscourt Championships, breezed through her match against Katerina Valos. 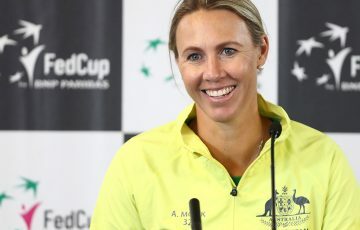 The Queenslander used her kick serve and consistency from the baseline to full effect, and also capitalised on her opponents errors to advance 6-1 6-4. She will next meet Panoho, with the No.4 seed’s thumping forehand drives proving too much for Georgiana Ruhrig throughout a 6-1 6-4 victory. 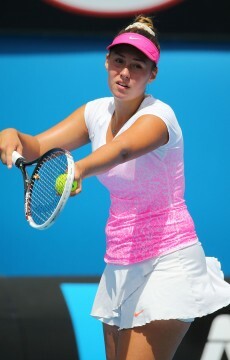 Also making tracks was Sara Tomic, a wildcard into the qualifying draw at just 14 years of age. Tomic, notable for her crisp forehand, cruised through the first set before encountering stiff resistance from Gussie O’Sullivan in the second stanza, eventually running out a 6-3 7-6(7) winner. 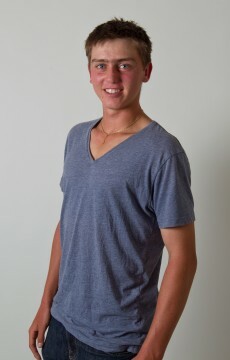 Tomic will next face Stefani Stojic, a 6-3 7-6(3) winner over Andrea Dikosavljevic. 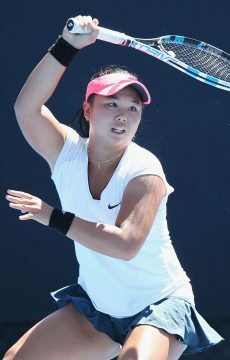 Other girls’ first round winners included top seed Lyann Hoang – who moved past Ashleigh Capannolo 7-5 6-3 – and Andrea Andrinopoulos, Nicole Collie and Elizabeth James. Boys’ qualifying also commenced on Sunday, with Nick Horton of New South Wales the first to progress to the second round. 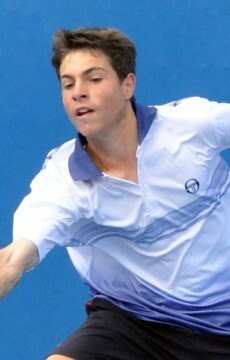 The 17-year-old was clinical in his victory over Harley Pearson of Victoria, winning 6-2 6-2 in hour and 22 minutes. 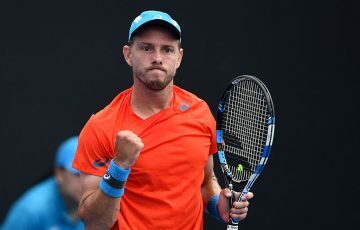 Horton will next take on Queenslander Colin Sinclair, who came from a set down to stun top seed Robin Pfister 4-6 6-3 6-2 in exactly two hours. Restoring some order to proceedings was third seed Lawrence Bataljin. The South Australian brushed aside Miladin Tespic 6-2 6-2, setting up a second round showdown with either Jai Corbett or Jacob Sullivan. 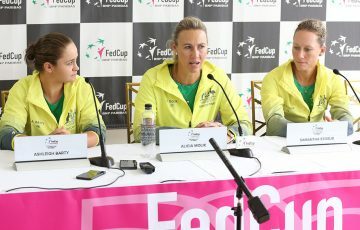 At the time of writing, boys first round matches were still underway, while second round qualifying matches were also scheduled to be played at Melbourne Park. 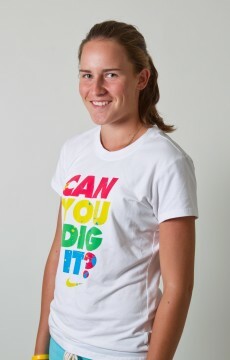 The qualifying competition will conclude on 3 December, with main draw action beginning on 4 December.